Portsmouth based Naval & Military Bible Society's new executive director is a highly-decorated pilot who served in the Gulf war as part of the Desert Storm operation. A committed Christian, Andrew Dakin OBE is an experienced leader who has worked in senior roles in the MOD and wider defence industry. He has been in frontline ministry as well as serving in trustee roles and is a rare find for the charity. 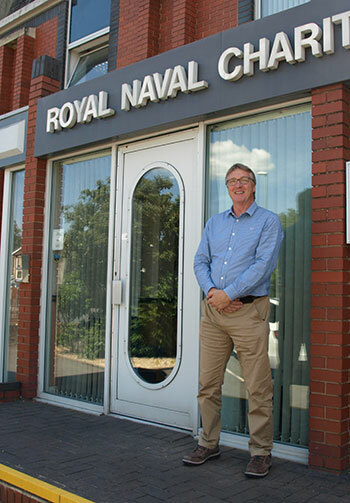 Andrew is used to delivering complex programmes and projects and his appointment comes as Naval & Military Bible Society prepares its strategy for Kingdom growth that will launch in its 240th anniversary year in 2019. Andrew said: "The opportunity to work with the oldest Bible Society in the world is both exciting and daunting. All charities need to stay relevant and I will be meeting with our partners to identify what their needs are over the coming years. We want to serve them in the best way possible by offering Christian publications tailored to their needs so that we can become true partners in mission." Working closely with chaplaincy teams in the Armed forces and charities across the military and maritime sectors, the Society aims to grow the Kingdom through the circulation and advocacy of the Bible, supporting those seeking a close relationship with God. The Society was established in 1779 by George Cussons and John Davies. Early vice-presidents including William Wilberforce and Lord Palmerston. Its purpose back then was 'spreading (by the blessing of God) Christian knowledge and reformation of manners'. Times have changed but the word of God still transforms lives. Simon Springett, chair of the trustee board, said: "Andrew's appointment comes at a critical point in our development, and is both timely and strategic. As we look to the future we recognise the increasing need for Kingdom values in the military and maritime communities. Naval & Military Bible Society needs to raise its game and show strong leadership, and the trustees believe that God has chosen Andrew for this specific task." Supporting Andrew as he takes the helm is Carey Rivers, the Society's recently appointed advocacy officer, and Derek Donald.